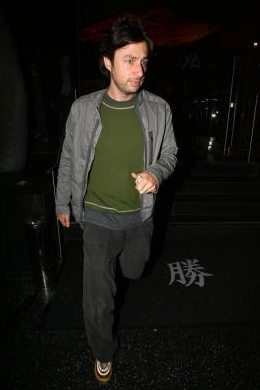 Zach on a 공식 만찬, 저녁 식사 날짜 at Katsuya, 4th June. . Wallpaper and background images in the Zach Braff club tagged: zach braff photo 2009 june 4th dinner date blonde ugly girl katsuya. This Zach Braff photo might contain 느슨한 바지, 바지, pantleg, 팬트 레그, and 긴 바지.